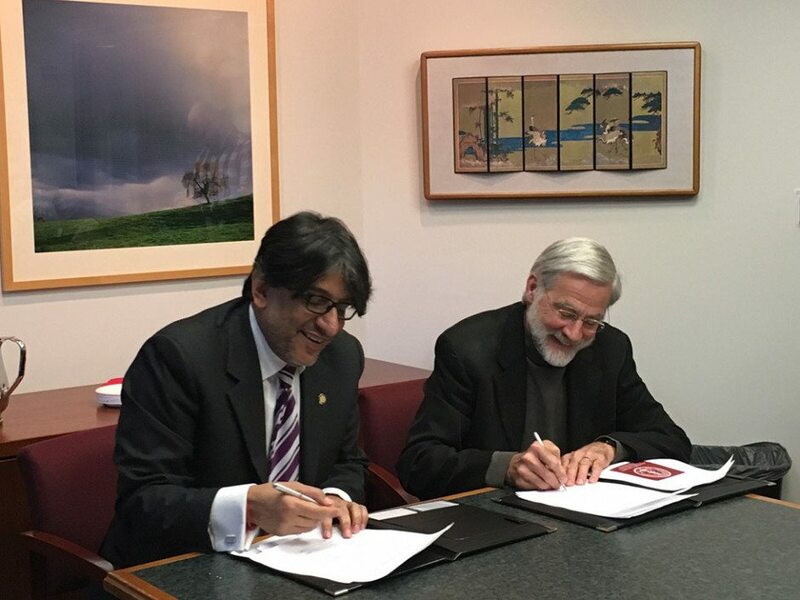 USA (November 14, 2015): Habib University and Stanford University, USA, have signed a Memorandum of Understanding (MoU) for the exclusive Stanford Summer International Honors Program (IHP). The agreement gives Habib University students unprecedented access to an immersive educational experience at Stanford University, providing them with unique learning opportunities. At the MoU signing ceremony, Habib University was represented by its President, Wasif Rizvi, while the Associate Provost and Dean of Continuing Studies and Summer Session, Stanford University, Dr. Charles Junkerman, represented Stanford University. Stanford University, USA, is a private research university in Stanford, California, and one of the world’s leading educational institutions, with the top position in numerous rankings and measures in the United States. Since its opening in 1891, Stanford has been dedicated to finding solutions to big challenges and to preparing students for leadership in a complex world. A first-of-its-kind university in Pakistan, Habib University is a liberal arts and sciences university that offers an interdisciplinary education in an intensely collaborative learning environment. Habib University is currently collaborating with the Texas A&M University at Qatar and the Carnegie-Mellon University to equip students with knowledge and skills that will help them address the emerging challenges of the twenty-first century. Building onto its existing collaborations, the new partnership with Stanford University will enable Habib University students to experience an unforgettable summer of personal and intellectual growth. It will expose them to an opportunity in which they will experience learning through a new perspective by becoming a part of the Stanford tradition. Speaking events, academic roundtables, and trips will let them take full advantage of all that Stanford and the Silicon Valley have to offer. This will also help our students in developing lasting bonds with Stanford University’s faculty, staff and peers. 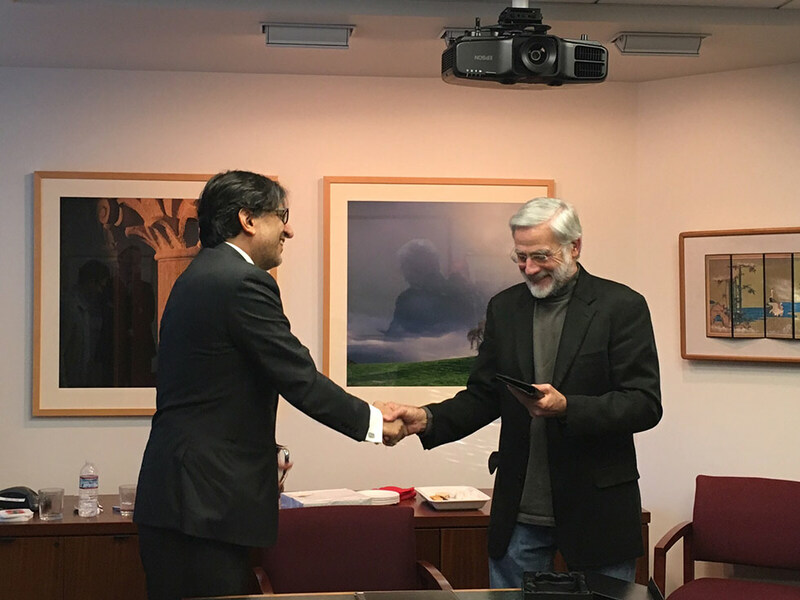 Wasif Rizvi, President of Habib University and Dr. Charles Junkerman, Associate Provost and Dean of Continuing Studies and Summer Session at Stanford University, congratulating each other on signing the MoU for the Stanford Summer International Honors Program.